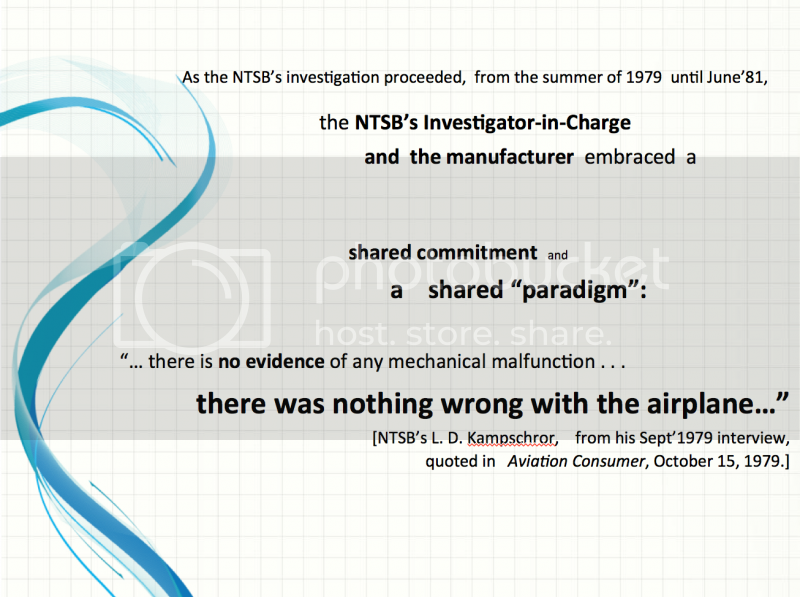 Crisis in NTSB's investigation Jan' 1980: B727, N840TW, 4Apr79, mysterious inflight upset. 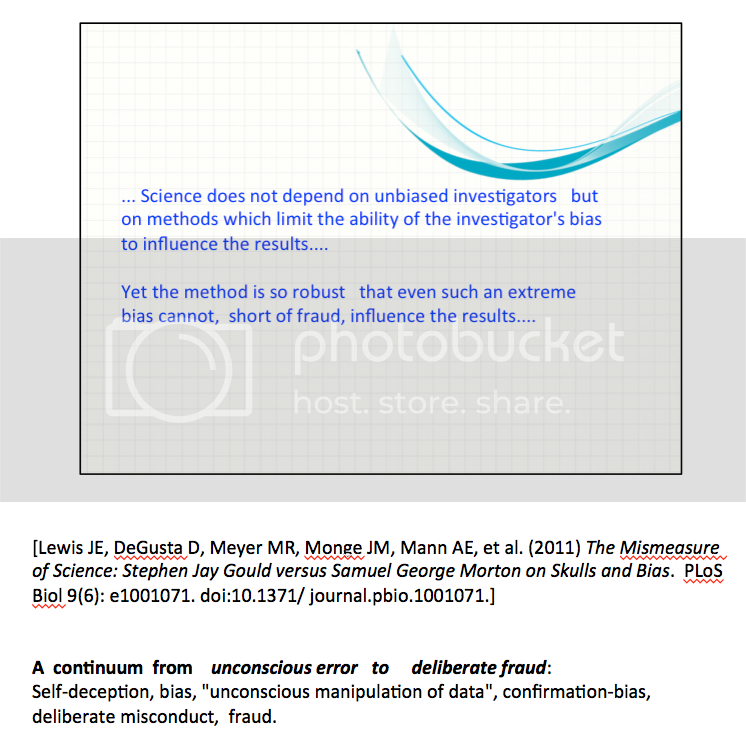 No training for staff "investigators"
who suspect their IIC of investigative-Bias & fraud. 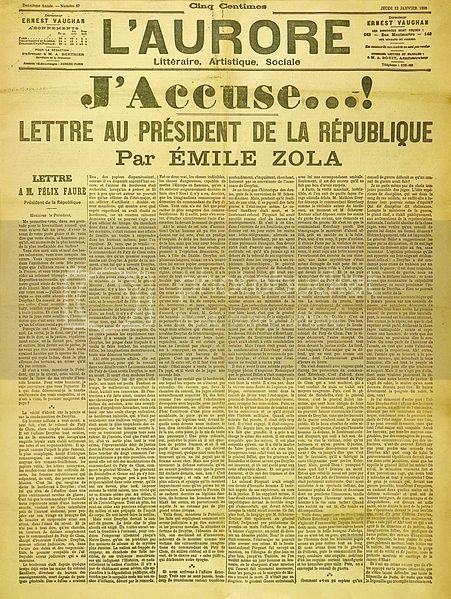 (but quick response to Foreign Petitions). 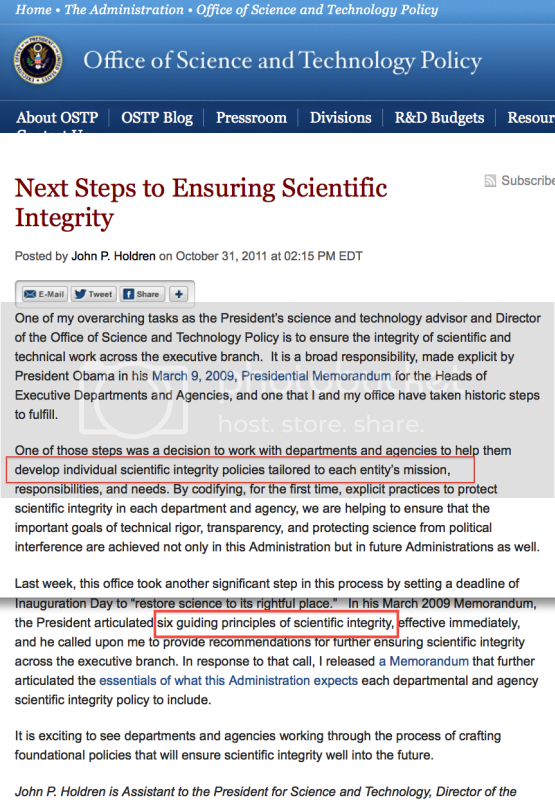 ..August 2014, NTSB's NPRM -- proposing revisions. December 24th 2015 Revised Rule CHANGE retained those weaknesses. "Sunshine meeting" of January 1980. "the crew should be given the opportunity to comment upon all of the evidence on which the Board will ultimately base its final determination of cause." Cause ? or Effect ? as instead the "cause" for the INITIAL upset. an INITIAL upset induced by an Extended Slat -- at CRZ FL390. 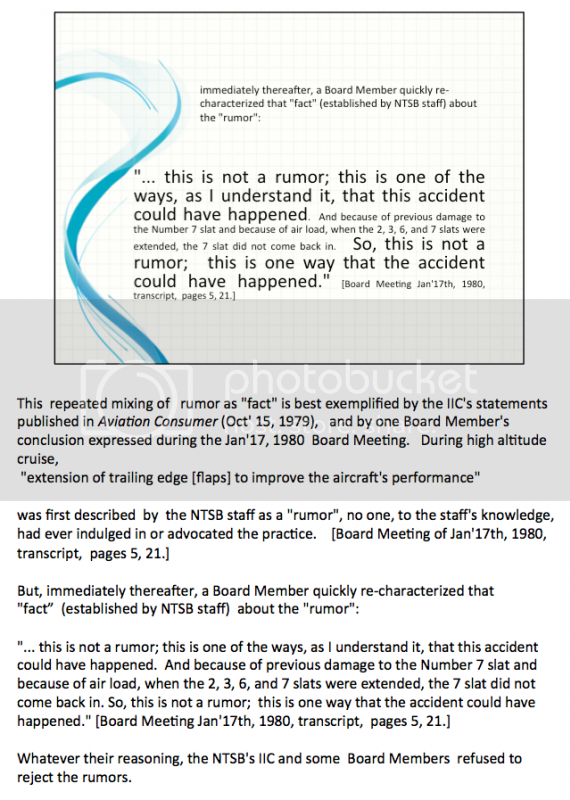 The NTSB's investigators seemed blocked, or constrained, or unable to even consider more traditional interactions, more expected "causes", that had led to earlier airliner Yaw x Roll upsets. nor about the company's history of earlier airliner inflight upsets. and thus judge The Boeing Scenario. to PULL the Slat from its RETRACTED position. to pop out because of aerodynamic loads." 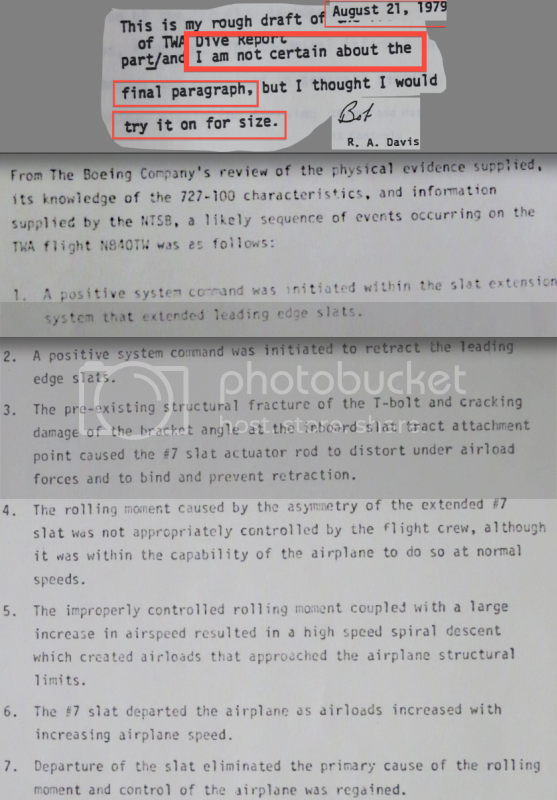 [see IIC's inverview above in Sep'79]. ". . . the integrity and credibility of this investigation . . . seriously compromised . 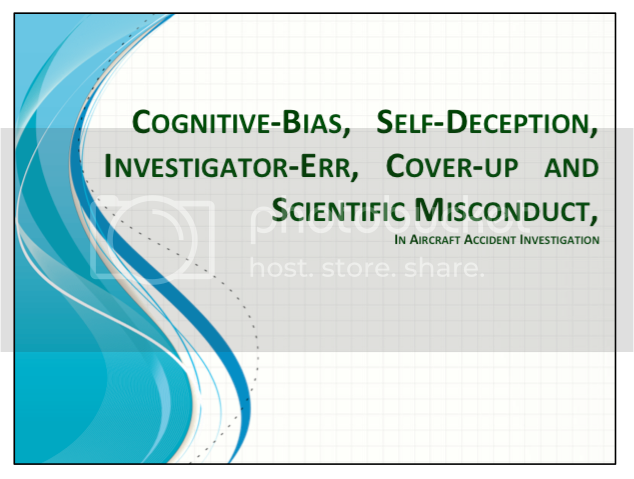 . . "
"Due to unfounded allegations concerning the crew attributed to Mr. Kampschror in the media (Aviation Consumer  for example, attached), his conduct at the probable cause hearing on January 17, 1980,  and his extraordinary and unreasonable emotional outburst at the Kansas City deposition, it appears to us that Mr. Kampschror is no longer a neutral and impartial investigator in regard to this accident.... For this reason, we request that Mr. Kampschror be immediately replaced as Investigator-in-Charge." denying request to remove Kampschror as their Investigator-In-Charge. The five Member Safety Board was NOT able to agree to their staff's recommended conclusions at the Jan'17th'80 Sunshine Act Meeting. 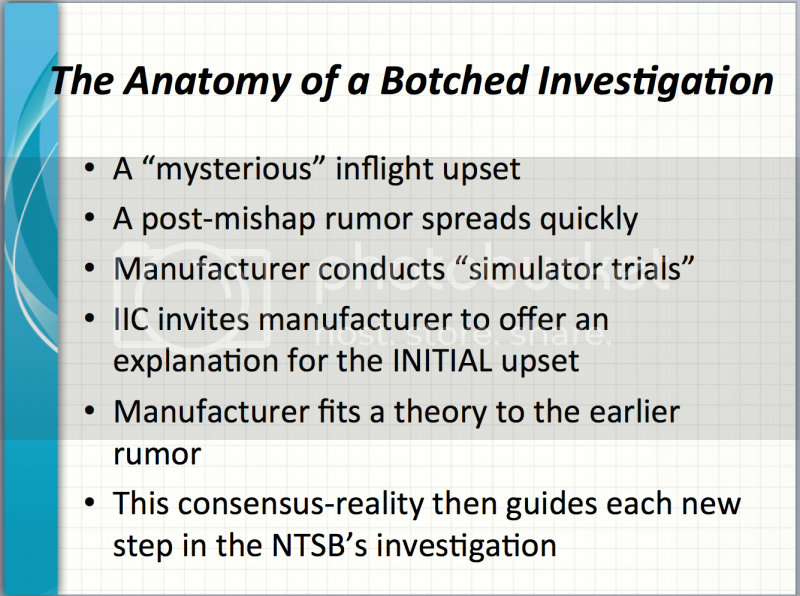 The NTSB staff was trapped, fixating only on The Boeing Scenario. 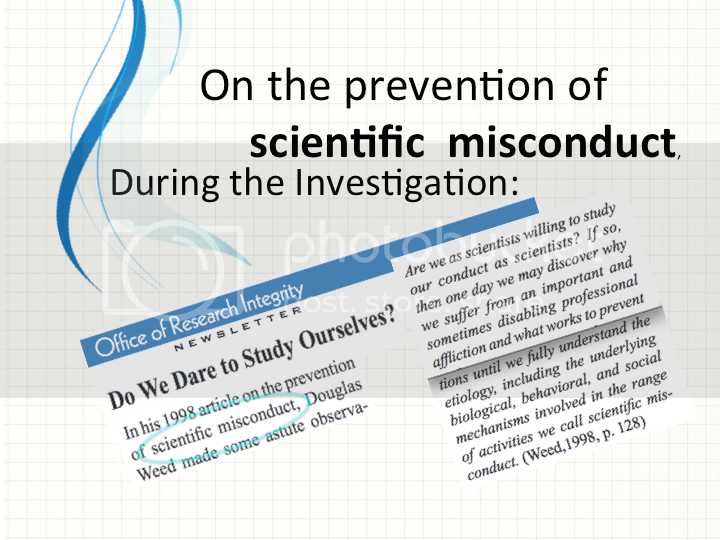 Without a new paradigm, their  lead-investigator   dogmatically continued in this  rut, suggested by the manufacturer. 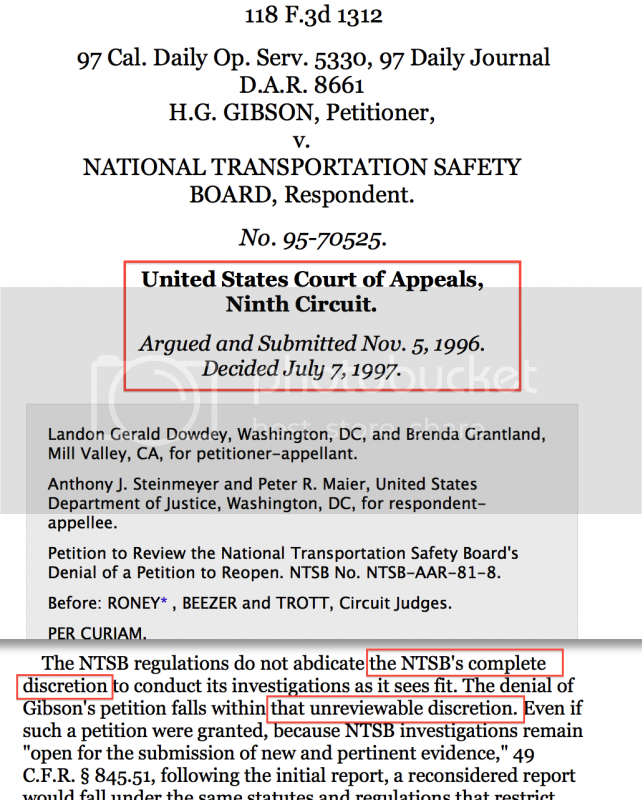 The five Board Members had missed their chance to appoint new leadership for the NTSB's misguided investigation. 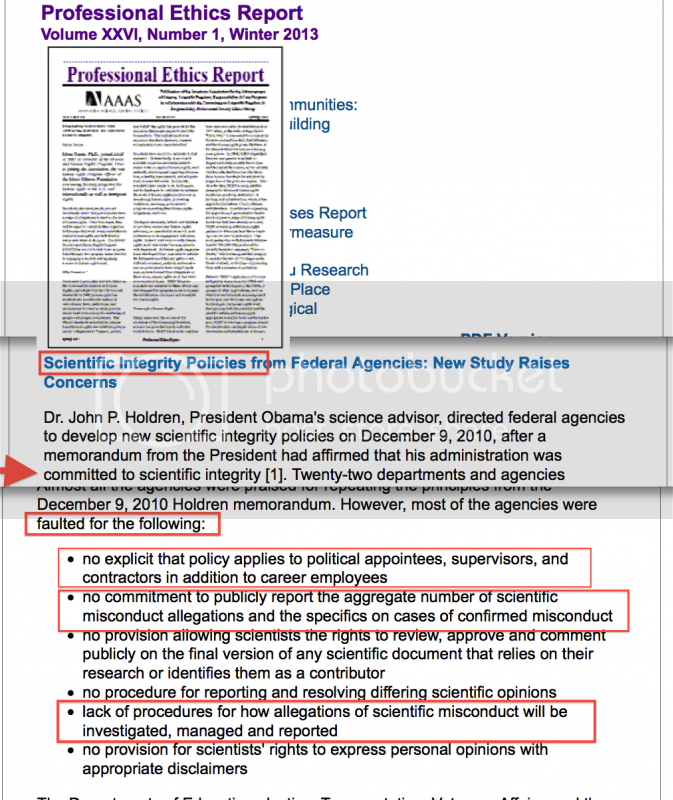 After the failed "Sunshine Act" Board Meeting of Jan'1980, the same IIC continued to drag the investigation for another 16-months, with no new insights, no process of conjecture-and-refutation, no competition between more traditional hypotheses for the INITIAL upset. 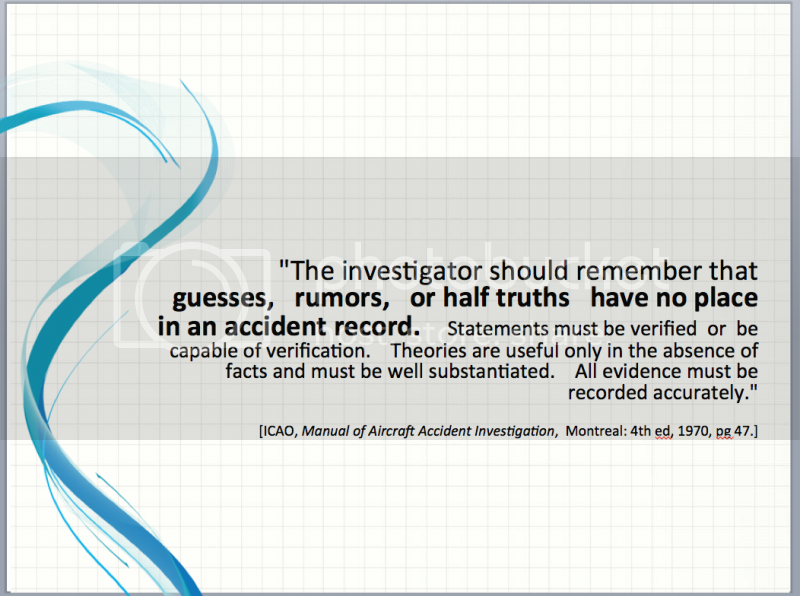 pointed toward a Kuhn-style "revolt"
against this boeing-method of accident investigation. 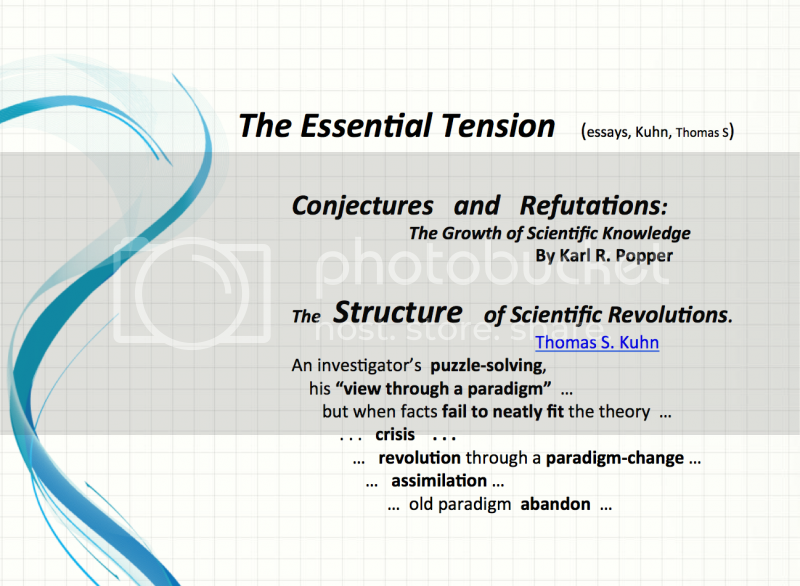 that cannot, despite repeated effort, be aligned with professional expectation. . . .
to a new set of commitments, a new basis for the practice of science. . . .
to the tradition-bound activity of normal science. . . ."
Kuhn, Thomas S.        The Structure of Scientific Revolutions: 50th Anniversary Edition. 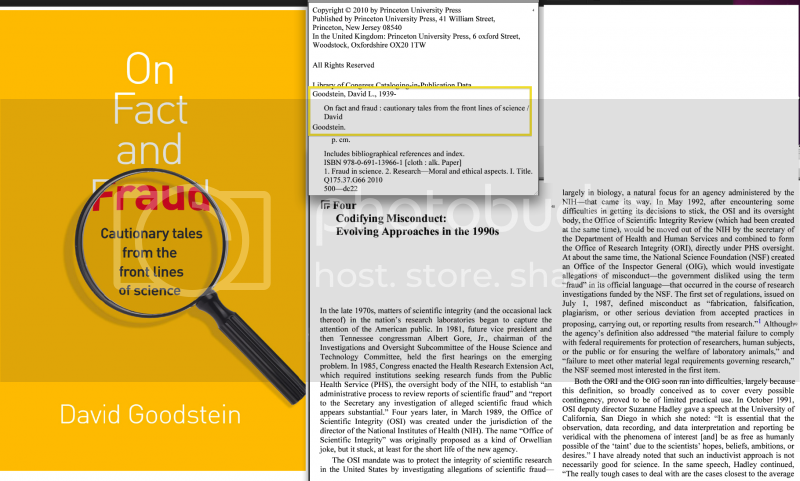 Revised, University of Chicago Press, 2012. 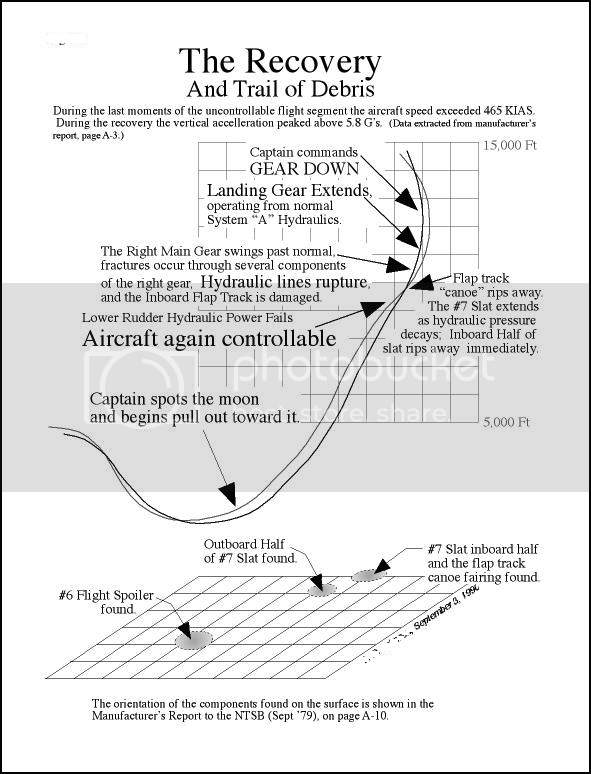 Ch1, pp 5-6.
who finally refuted the Boeing Scenario.
. . . some action in the cockpit . . .
Washington Post, Jan'30th, 1979, Pg A6.